Roman food... the tastes and smells of centuries past — exotic and strange, yet... something that is strangely familiar, a part of our racial memory. The food that our Roman forebears ate was different in a number of ways: taste, smell and even texture. Roman food, and the recipes that make it, isn't bad, it's just different and that, is what we hope to impart in this section. Roman cooks liked to mix spices together in complex and heavy combinations, using many of the spices that we know today, but... they also commonly used spices and ingredients that are just very uncommon these days. More than that, Roman cooking combined the ingredients in ways strange to us today. And, to remember: Roman cuisine wasn’t at all like modern Italian food — there were no tomatoes or potatoes, for example. To the Romans, the intent was all about contrasting sweet with salty and sour foods (e.g. they liked to eat combinations of food that we would find strange, to say the least — garum with melon; pancakes with pepper, etc.)... Again, not bad, just different. You can find this style of flavours in Chinese cooking today — the mixing of sweet and sour. You have to get outside the box and your comfort zone. 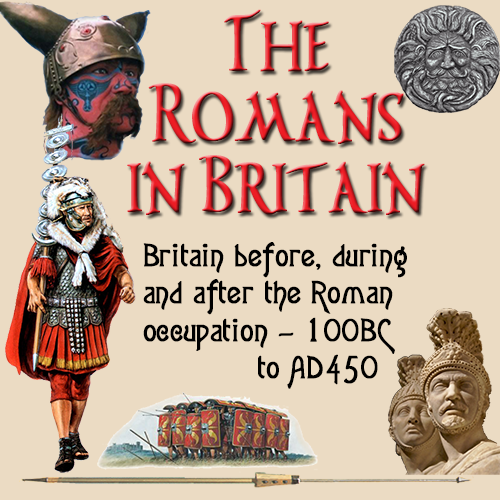 Try something new, you might find that the Romans were on to something and that you just might like it. Romans made use of highly flavoured sauces that often contained as many as a dozen ingredients, that often were used to mask the natural flavours of the food — they did this for a number of reasons... among them, to disguise the taste of food which might have become rancid through overstoring or, more often, to try and impress guests with the host's extravagant use of rare and exotic spices and foods — this was all designed to ensure that the guests were made fully aware of the expense the host had incurred in providing their meal. 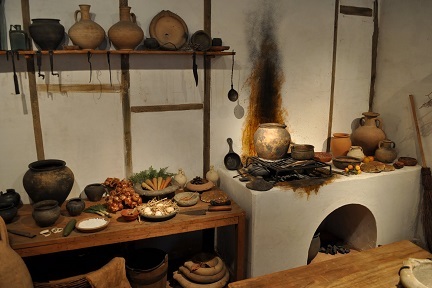 The most commonly used seasoning of the Roman Empire was garum (or later, liquamen), a fermented fish sauce (no, don't hurl... it's not bad) Garum was used as both an ingredient and a condiment. The nearest equivalent today would probably be Vietnamese Nuoc Mam fish sauce, which usually has anchovies as its main ingredient (the popular Roman version was made of mackerel). Garum was so popular that there were many towns in the Empire that were basically "factory-towns" thats only product was garum. Preserving and Keeping Foods "Fresh"
It's a great book that covers food that normal Romans ate, not just the rare and outrageous stuff that is recorded as eaten by the rich at fabulous parties. Great book! In The Careful Housekeeper Apicius tells his readers "How to make Stale Meat Sweet" by cooking it first in milk, then in water. "How to make Bad Honey Good" by mixing one part bad honey with two parts good honey. Many other tips were given for preserving and keeping food fresh which must have been a major problem in the days before refrigerators; perishable food such as fish had to be transported many miles at a time when the horse was fastest method of communication.